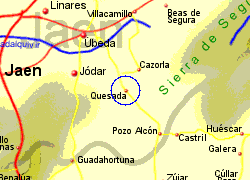 Quesada is a small town lying on the western end of the Cazorla National Park, in the provence of Jaen. 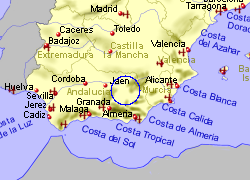 This is an agricultural area, important in the production of olive oil, with history from the Roman, Vigigoth and Moorish times. This is not exactly a tourist area but none-the less has charm and enough tapas bars and resturants to suit your needs. 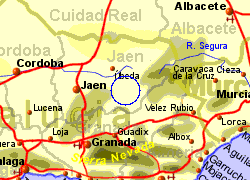 Map of the Quesada area.